NPA MD ADVOCATES FOR DEPLOYMENT OF FBV IN LOW DRAUGHT CHANNELS. 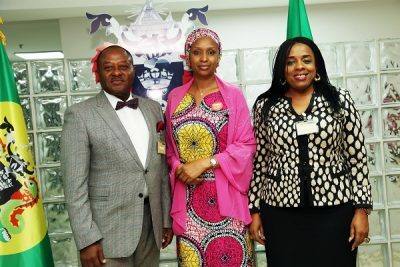 Managing Director, Nigerian Ports Authority (NPA) Hadiza Bala Usman has advocated for the deployment of Flat Bottom Vessels (FBV) in channels with low draught in the nation’s seaports. The Managing Director who was speaking in Lagos yesterday when she received members of the Nigerian Chamber of Shipping, led by its President, Mr Andy Isichei assured that the Authority would be willing to work with the chamber for the mutual benefit of both parties. 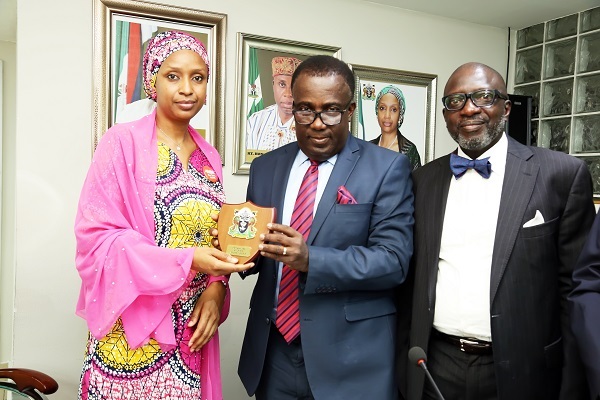 Furthermore, Hadiza Usman gave the assurance when she received members of the Maritime Arbitrators Association of Nigeria (MAAN) who paid her a courtesy call in her office in Lagos yesterday. Earlier, MAAN President, Barrister Adewale Jones had appealed for greater collaboration between the Association and the Authority, while at the same time commending the Management of the Organisation for its bold step, which he described as germane to the growth and development of the nation’s economy.